Let’s see if I got this right-I don’t like Photoshop, right? Right. I don’t like software where you can manipulate images…right? Right. I believe everything should be done in the camera…right? Right. Never crop, right? Right. Less is more, right? Right. Digital will be just like 8-tracks, it’ll never last. So let’s check out the reality, I guess it’s impossible to be right all the time. 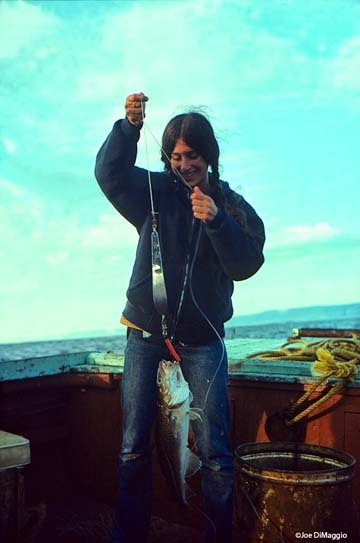 The photograph of this young lady catching a cod-fish off the coast of Prince Edward Island, up until today, was flat, muddy, indistinguishable and almost two stops under. There’s a technical term in photography for a photo like this…it’s blank blank blank blank. Well through a little bit of work in Photoshop and NIK software it came alive. The young lady’s name is JoAnne Kalish. 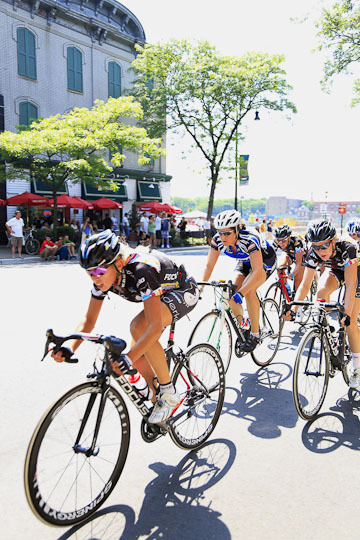 For the Last Three years my dear friend Brian has invited me to the oldest bicycle race in the US held in Somerville, N.J. on Memorial Day. Every year I promise to go and cancel because of this that or the other thing. This year I decided I was going to go and am extremely happy I went. Brian was not exaggerating it is an amazing experience. 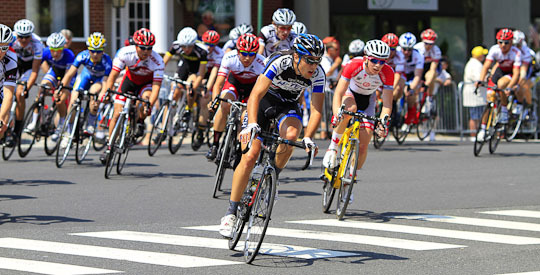 Hundreds of racers and thousands of spectators. Colorful is an understatement. Towards the end of the day, JoAnne and I ran into Dave and Linda. There may be a possibility next year of doing a Sports/Action semi-private workshop. Could be a lot of fun. 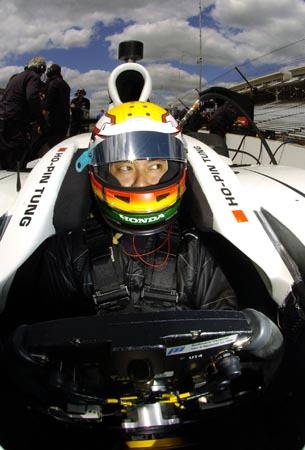 It’s a great place to hone your eye hand coordination and to tweak your panning skills. Prepping for a rodeo shoot to be continued…. Back in the day a trip to Rome would be incomplete without a once-in-a life-time experience of seeing one the greatest and most popular works of art known today. 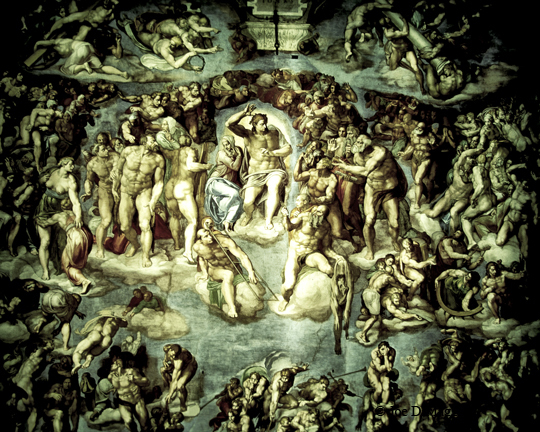 I have been back at least a dozen times, and I always discover something new in Michelangelo’s Sistine Chapel. It was commissioned by Pope Julius the II and was painted between 1508 and 1512. Back then, with the proper credentials I was able to photograph the Chapel for fifteen minutes before it opened. Today photography is no longer allowed, and when I ask why, security explained, that they sell photos, so there is no need to take one. Rules are rules, and we all must adhere to them. I found it very interesting that photographers with 35mm cameras are stopped but people with I phones and such were not. It seemed a bit unfair to me. I normally try to spend more then an hour trying to study the color, balance, and composition. I always leave the Chapel with my jaw on the ground, and when someone says that my photos are a piece of art I am humbly appreciative, but we all know better. Tip for today, as always pre-select shutter speed aperture, focus, over-expose by three quarters to 1.5 stops, camera on silent mode, lay the camera flat on a bench, accidentally hit the self timer button and hopefully you will have a precious image of one of the greatest pieces of art of all time. The rules are the the rules, don’t break them. I was blessed to live on the sea for about 20 years. Sailing, swimming, scuba diving all became part of daily life. 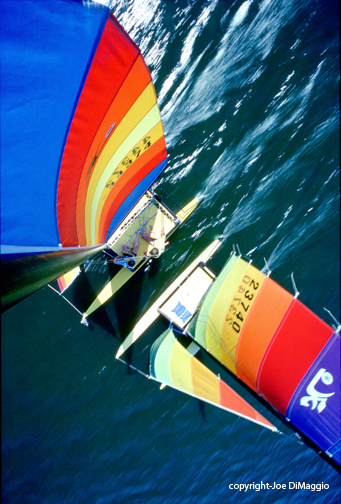 I remember vividly being on a conference call with Saatchi and Saatchi, I looked out the window to see a large multi-colored sail from a Hobie cat fly by. I let out with a scream, the creative director and the vice-president of Xerox thought it was pretty funny. When I explained, they still thought it was funny. A week later I spoke to the sailor on the Hobie Cat and arranged to make a series of photographs with the boat. I called my accountant and asked him, if I bought a sail boat and used it as a prop, was it a write off? Thus became my love affair with Hobie. The $3,000 dollar investment yielded six figures over the years. The photo above: 35mm camera, 16mm lens, Kodachrome 25, 1/250sec at f/8. Camera mounted on mast with infrared firing device. Remember in those days there were 36 exposures. I may revisit it again one day with digital. It’s all good. 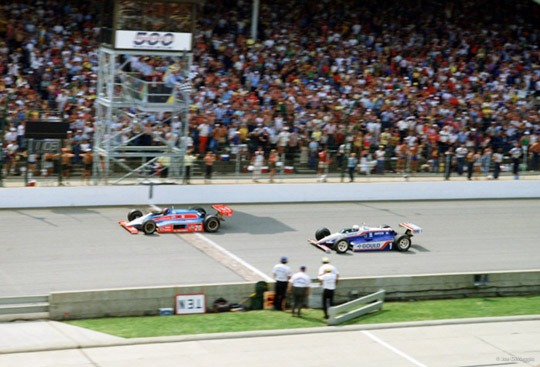 Well, next year it’ll have been 30 years since I loaded film into your Nikons at the 1982 Indy 500. It was a complete thrill to finally be able to work the other side of the fence after growing up at the track each May tagging along with my Dad. Of course things have changed a bit since then. 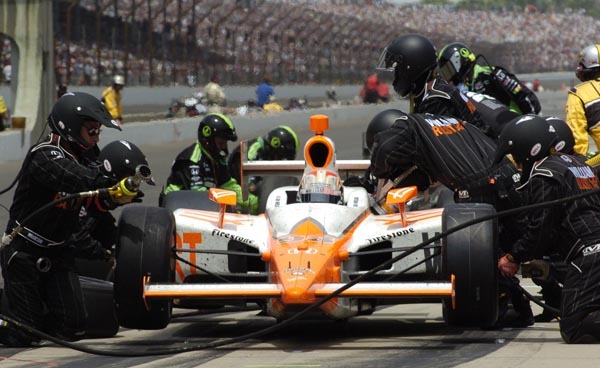 In addition to the digital revolution, the Indianapolis Motor Speedway has undergone a major facelift and is a World-class facility. 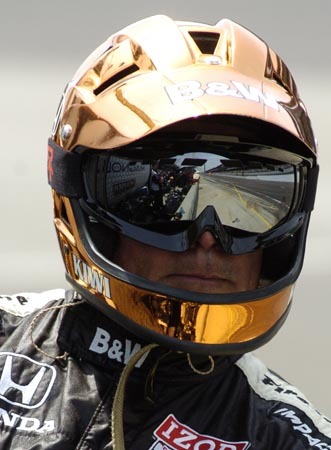 I started shooting the 500 for Reuters in 1990 and have been back ever since. Last year, I had the honor of having my college-aged daughter, Ainslie, join the family “business” and become the 4th generation of Millers to pick up a camera at the 500. Back at the 1982 you captured the memorable image of the Johncock/Mears finish, and who knew that 24 years later in 2006 I’d repeat the feat by capturing the Hornish/Andretti finish that would appear double-trucked in SI as well as the NY Times. I am so proud of you not only as a photographer but as one hell of a fine human being. There are very few young people that would give up their bed back in the day so we could get to the Indy 500 at 5 A.M. to beat the traffic. And like many of my assistants, you did so much more than just load film into my Nikons. Without your help, that photograph would not have been done. It’s something that I’ve been aware of my whole life. We tend to think we work in isolation. We tend to think how important we are. 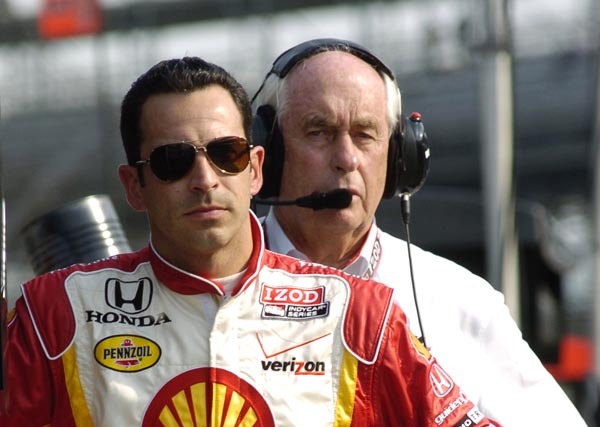 But the same way that Rick Mears would say “It’s a team effort”, I say the same thing. We worked as a team. Your work is amazing. You deserve everything that you get and some more. And who knows- maybe in the next couple of years, we’ll have an opportunity to work together again. Keep on shooting and remember the first rule of photographing racecars: Never turn your back on one.